A recent study published in an esteemed academic journal indicates that volcanic eruptions in the mid 500s resulted in an unusually gloomy and cold period. A joint research project of the Chronology Laboratory of the Finnish Museum of Natural History and Natural Resources Institute Finland (Luke) suggests that the years 536 and 541-544 CE were very difficult for many people. An extended period of little light may make it difficult for humans to survive. The level of production of plants is dependent on the amount of available sunlight. Food production, i.e, farming and animal husbandry, rely on the same solar energy. Humans, meanwhile, become more prone to disease if they are not exposed to enough sunlight to produce vitamin D.
"Our research shows that the climate anomaly, which covered all of the northern hemisphere, was the compound result of several volcanic eruptions," says Markku Oinonen, director of the Chronology Laboratory. The aerosols that were released into the atmosphere with the eruptions covered the sun for a long time. The exceptionally poor climate conditions were significantly detrimental to farming and reduced the production of vitamin D among the populace. This means that the people who were already weakened by hunger also had to grapple with a compromised immune system. The study is based on dendrochronology or tree-ring dating. The series of annual growth rings from subfossil – or intact – tree deposits covers the past 7,600 years. 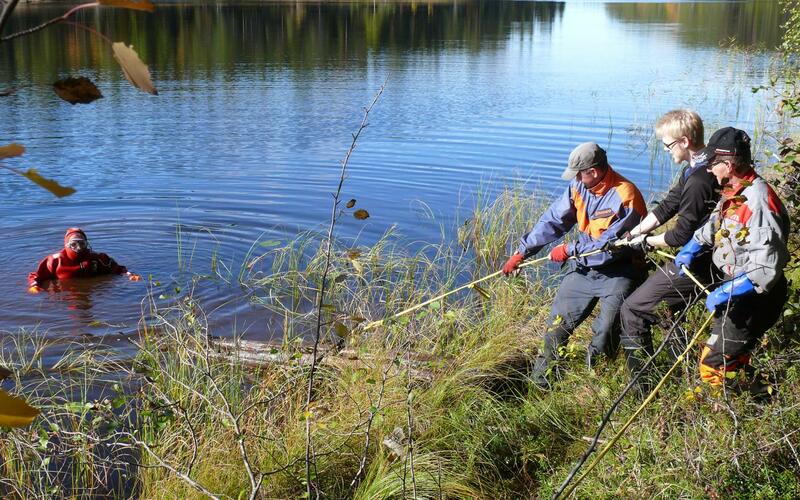 The trees are often found on the bottom of small lakes, and Luke has been taking samples and recording the findings since the 1990s. "Researchers have put together an annual growth ring calendar of treeline pine spanning more than 7,600 years. Various historical events can be contrasted with the calendar. The growth ring calendar is an important indicator of global climate change," says researcher Samuli Helama from Luke. The samples in the recent study were dated with the help of the growth ring calendar at Luke, and sample shavings were carved out of them for each calendar year. The Chronology Laboratory then conducted isotope analyses on the samples. The results of the study are based on the analysis of the variation of carbon isotopes in the annual growth rings of trees. The variety in carbon isotopes reflects the photosynthesis of the trees, which in turn is largely dependent on the amount of solar radiation available during the summer. The new study tracks the correlation of carbon isotope variation and volcanic eruptions from the 19th century until recent years, and shows the dramatic reduction in available sunlight in 536 as well as between 541 and 544 CE. The variation of summer temperatures was similarly reconstructed on the basis of the density of the trees' annual growth rings. The unusually poor years coincide with the bubonic plague epidemic that devastated the Roman Empire. The epidemic caused by the Yersinia pestis bacterium began in 542 CE and killed approximately half, or more, of the inhabitants of what was then considered the Eastern Roman Empire. The plague spread through Europe, from the Mediterranean, possibly as far north as Finland, and had killed tens of millions of people by the 8th century. The study was conducted as a consortium project by the University of Helsinki and Luke, with participation from researchers of the University of Eastern Finland, the Finnish Meteorological Institute, the Geological Survey of Finland and the University of Turku. The research was funded by the Academy of Finland. The study was published in the international series Scientific Reports: Helama S, Arppe L, Uusitalo J, Holopainen J, Mäkelä H M, Mäkinen H, Mielikäinen K, Nöjd P, Sutinen R, Taavitsainen J-P, Timonen M and Oinonen M 2018. Volcanic dust veils from sixth century tree-ring isotopes linked to reduced irradiance, primary production and human health. Scientific Reports 8, http://www.nature.com/articles/s41598-018-19760-w.